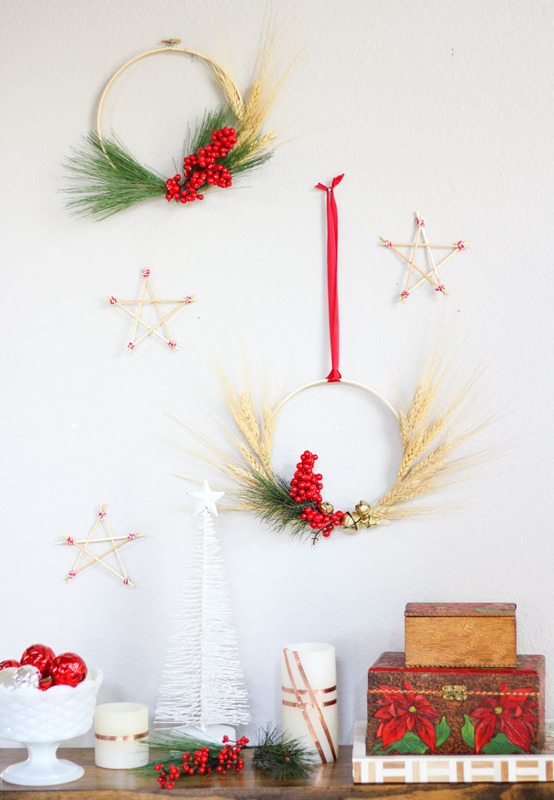 Have a blank wall? 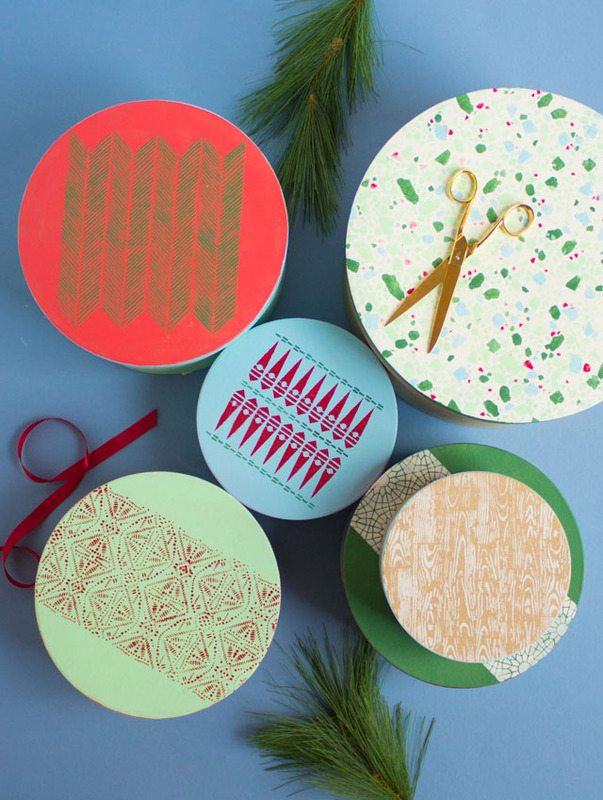 Have a roll of twine? 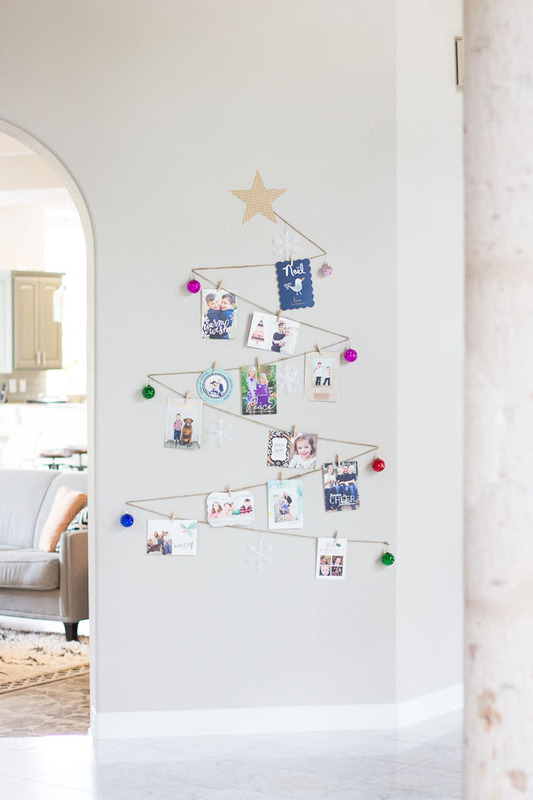 Then you can whip up this Christmas tree holiday card display in minutes! 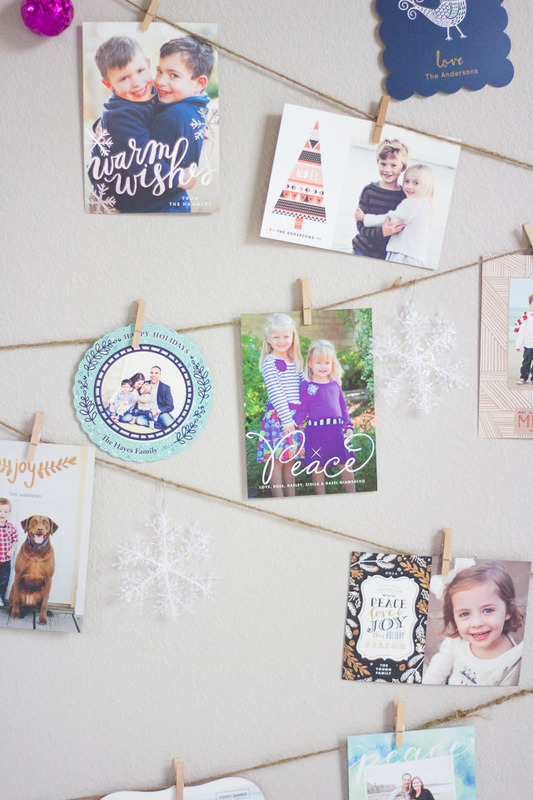 If you look closely you can spy our family’s holiday card among the other pretty card examples from Minted. 1. 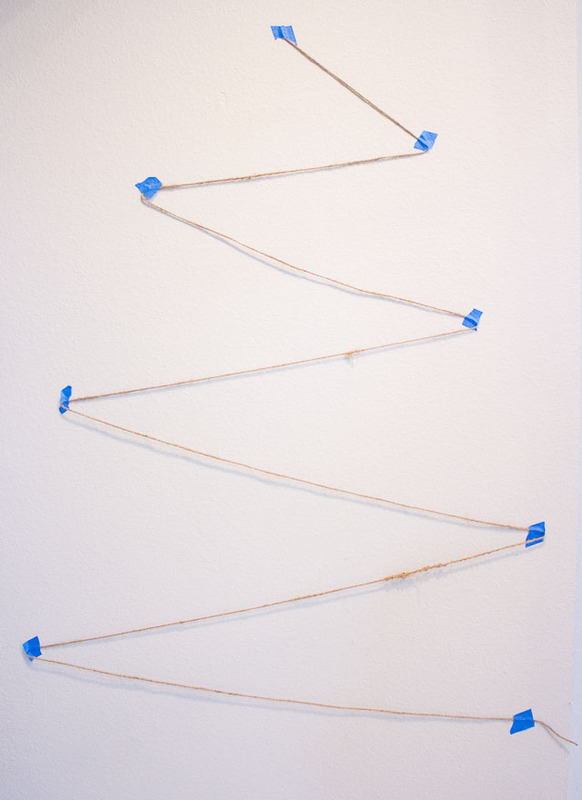 Take your length of twine and start taping off a Christmas tree design on your wall with painter’s tape. You can adjust it by moving the tape around until you have the look you want. 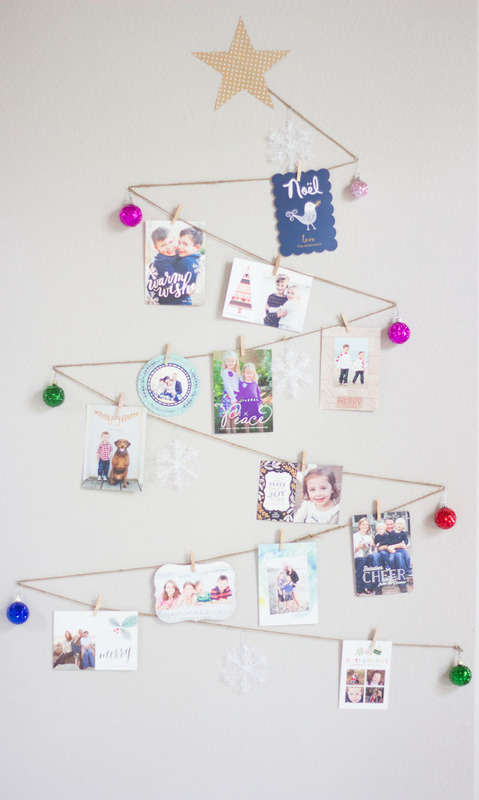 You can make the tree as little or as big as you want, just leave plenty of room between each row for cards to hang. 2. Leave the top piece of tape on your tree as is. 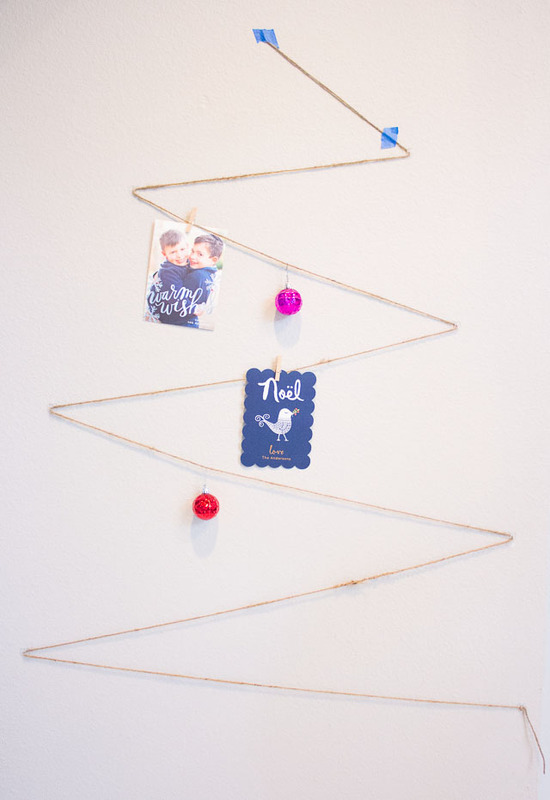 Start with the piece of tape on the second level of the tree and replace it with a decorating clip. To do so, you first add an adhesive strip like this: 3. 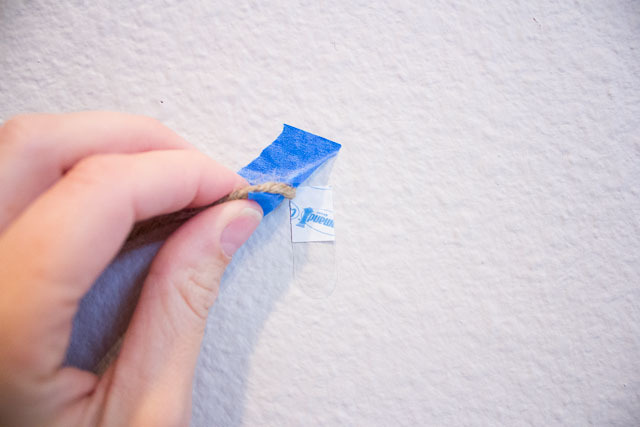 Remove the backing from the strip and press the clip onto it for 30 seconds or so. Then thread the twine through the hook. 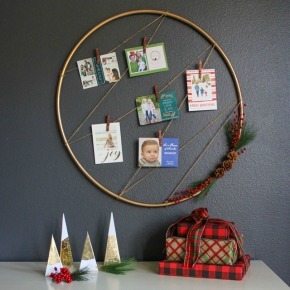 You’ll want the twine to be taut as the cards will put it down some. Repeat this process for the remaining pieces of tape. 4. 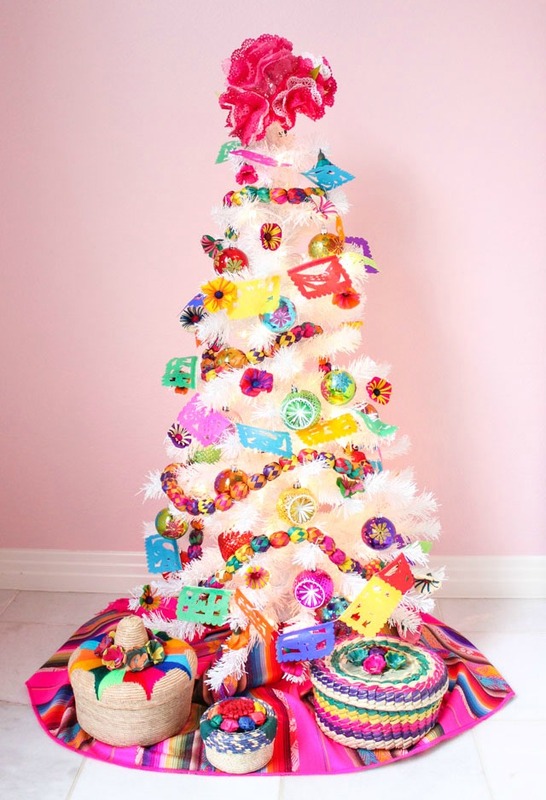 To finish the tree, cut a star out of card stock and tape it over the top piece of tape on your tree. 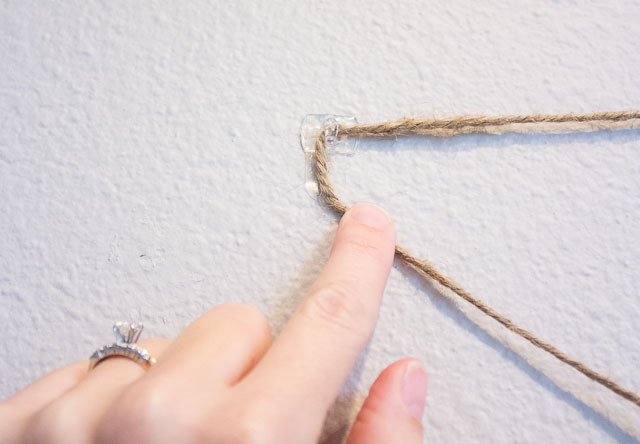 Trim the end of the twine at the bottom of the tree by tying a knot around the decorating clip and trimming. 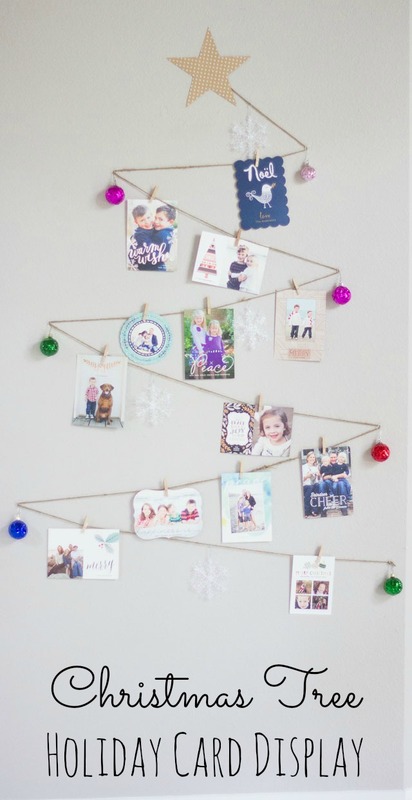 You can then start to add a few ornaments and cards using the mini clothespins! I put a sparkly ornament on each point of the tree, hanging it from the decorating clip. 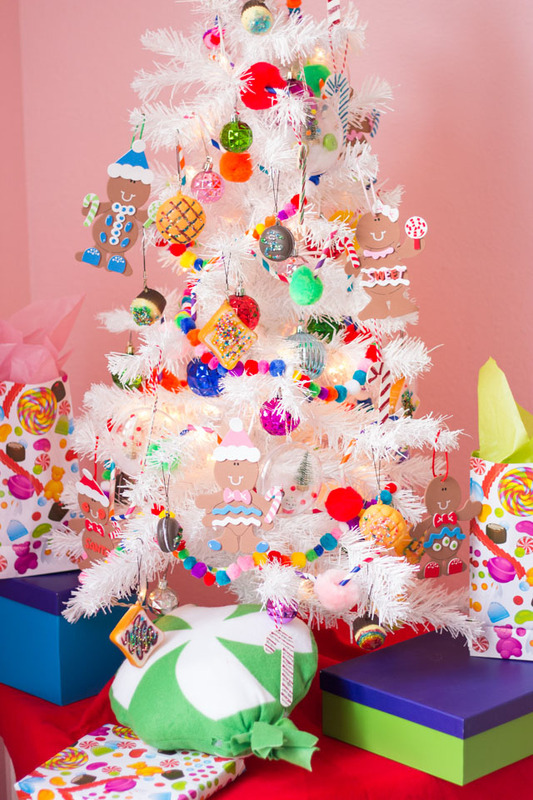 I scattered a few soft snowflake ornaments among the cards on the tree. So simple! 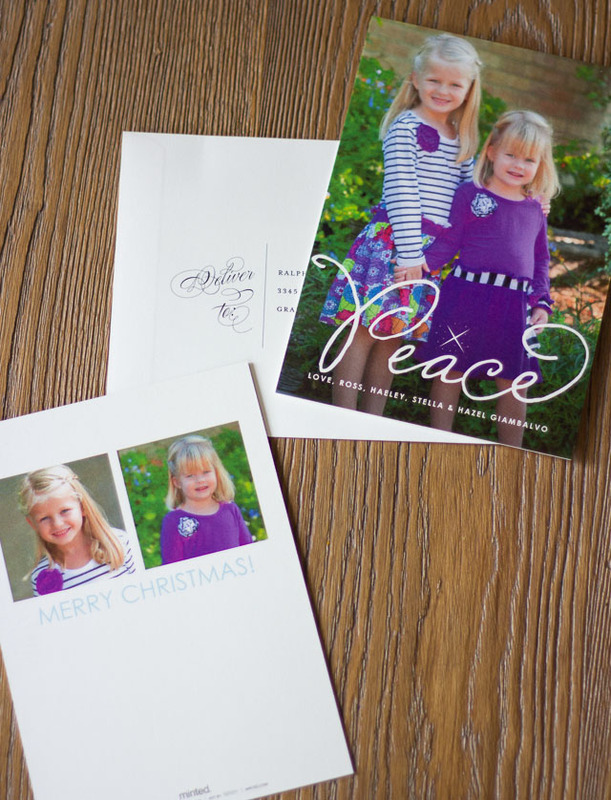 Here’s a close-up of my two little sweeties in our Minted holiday card. I used their school pictures – aren’t they the sweetest? 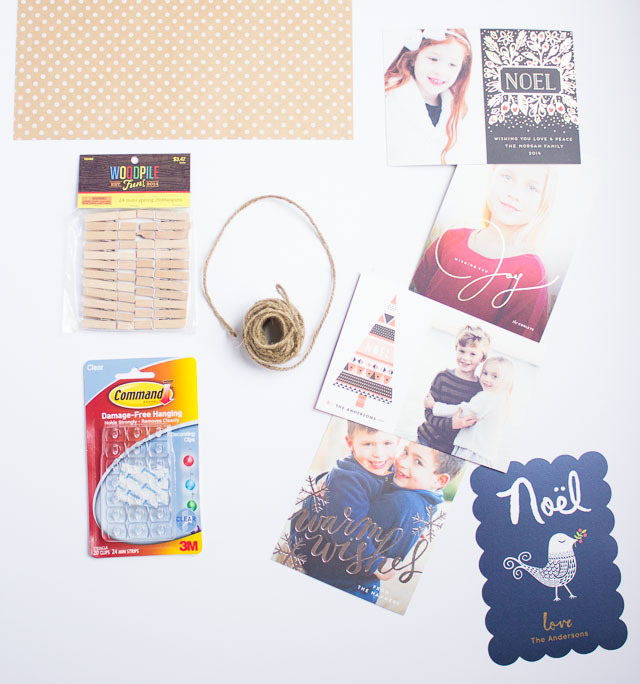 I chose this simple design and went with Minted’s luxe double-thick card stock. On the backside of the card, I left a little blank space under the girls’ photos to write a handwritten note. 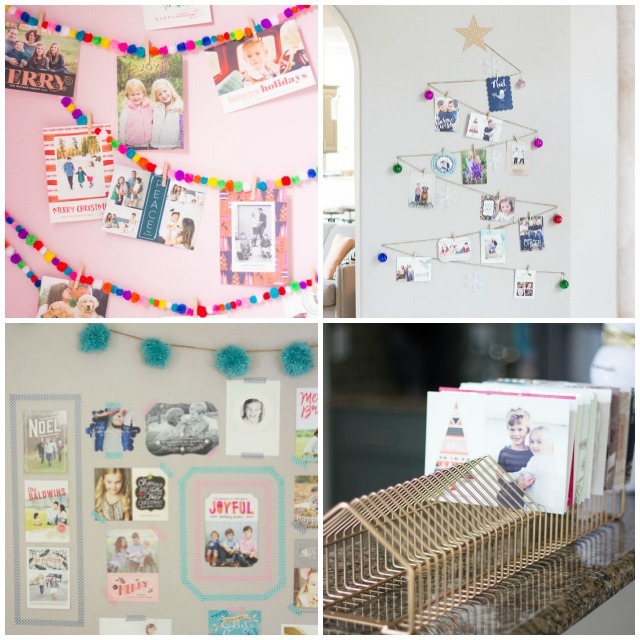 Since Minted already addressed all my envelopes, I can spend my time writing a little personal greeting instead of copying down addresses – yay!